What might you do if you could invent a new way to operate your computer? How might you use your computer differently after its reinvention? It’s time to explore this innovative tool that will enhance any makerspace. MaKey MaKey is a simple electronics kit that allows you to change the way you interact with your computer. Anybody can use everyday objects to create a new touch controller that performs all the functions of the keyboard or mouse. This presents incredible opportunities for teaching and learning as children look for creative and innovative ways to change the way things work. MaKey Makey plugs into your computer via USB. From there, alligator clips attach to the objects you want to use as the new keys. Let’s say we want to play a web-based video game which uses the arrow keys and the space bar. Now let’s say we’d rather make our own arrows out of playdough instead of using the arrow buttons on the keyboard. We’d make our playdough buttons, connect them to the corresponding points on MaKey MaKey using the alligator clips, then connect ourselves to MaKey MaKey’s earth clip and start playing! 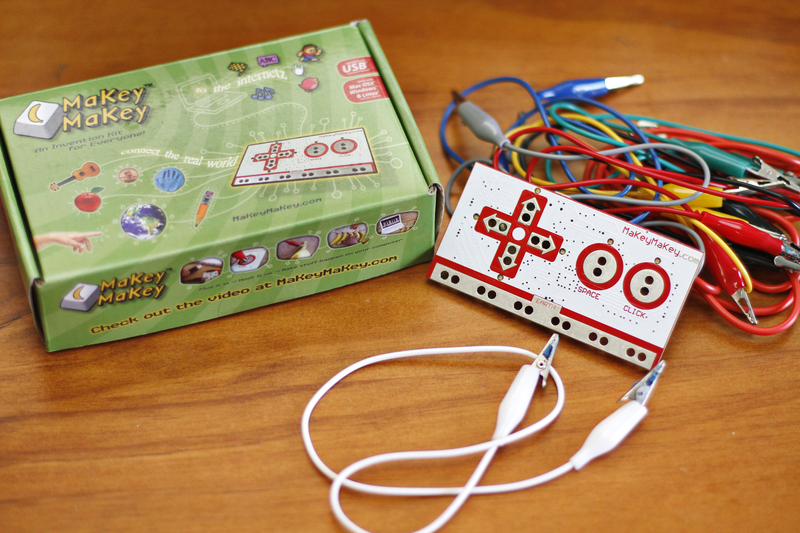 A playdough controller for a video game is just one simple use of MaKey MaKey. How about a piano made of people? Or typing on a keyboard you drew in pencil on paper? Or setting up your computer’s camera to take a photo whenever somebody touches the cookie jar? The uses are almost endless. As long as an object can conduct even a little bit of electricity to complete the circuit, it can be a part of a new design. Recently I used MaKey MaKey with a group of children to play an online flash game of Super Mario Bros. We set it up so that each child took the role of a different direction key which would be activated when they touched a sheet of foil. They were immersed in the task of trying to work together to move Mario around the screen, with a lot of laughter at the difficulties this method caused. Even though they were less successful in the game than if they had just used the keyboard, the activity was a great success in prompting them to think about what worked and didn’t work, and what could be done differently next time to improve the design and its use. When we have the chance to play and be creative, we learn from our play, and MaKey MaKey provides great opportunities for innovative play, entrepreneurial thinking, creativity and problem-solving. Users of all ages and skill sets can be inventive with it, as it prompts them to try new things and discover what happens. It’s terrifically open-ended, so users of all ages can start with a problem they’d like to solve or just play and see where their play takes them. Perhaps you’d like to surprise your friend by having their favourite song come on when they sit in their chair. How could you use MaKey Makey to do this? I have my ideas, and I’m sure it won’t take long for you to find yours. Or maybe you’d just like to make a different way to play an online drum kit? How about a drum kit made of fruit? Or spaghetti? 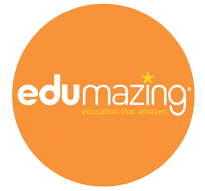 One of the strengths of using MaKey MaKey in a teaching and learning environment is its appeal to different types of learning. Activities can be set up to support logical, spatial, interpersonal or kinaesthetic learning. Users can also participate on different levels, from interacting with ready-made creations to building their own, or dissecting an existing creation to understand how it works. 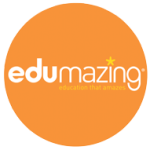 At a recent Edumazing workshop for teachers, we had a banana piano set up to be played by anybody, and it was exciting to hear people’s reactions as they explored it. Engagement quickly moved from simply being amused by this odd machine, to coming up with their own ideas of what they could make with learners in their classrooms. Presenting children with the chance to change the way things work can be great for developing confidence. MaKey MaKey lets kids reinvent the everyday, impacting on their world with creativity and imagination.